Harborview, the replacement to Crystal Jade is in soft opening now. Its run by the same folks as R&G in Chinatown, serving traditional Cantonese fare. Looks like they are reusing a bit of the Crystal Jade decor. Has anyone tried the food? Any idea who runs the kitchen at Harborview? Huh, maybe my memory escapes me, but was that the location of the old Harbor Village with Andy Wai? I think so. 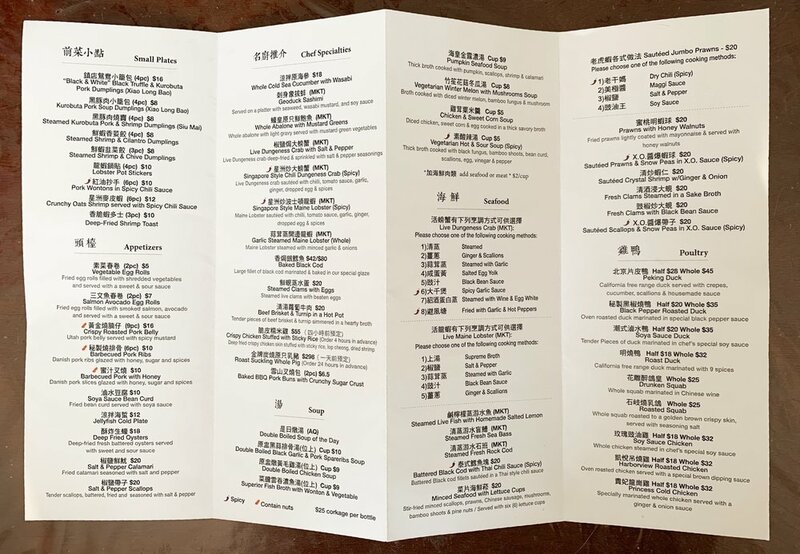 But I am not sure how big of a space they took over from Crystal Jade, since they were aiming for, in their own words, a smaller, more casual format. I asked the person who answered the phone who the chefs are and she said she didn’t know. They are closed for a wedding today (I think that’s what she said), but will be back tomorrow, and asked me if I want a reservation. I asked the person who answered the phone who the chefs are and she said she didn’t know. No. Harbor Village was on the second level of 4 Embarcadero, up the spiral stairs from the courtyard. 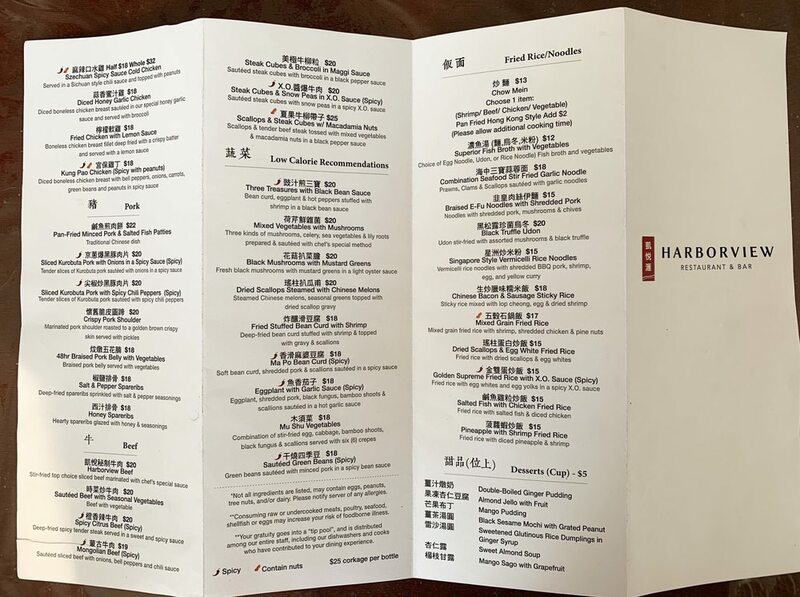 They are still working out the kinks, even though they say its the same chef as Crystal jade, and a very similar menu, with some additions from R&G’s menu. I ordered 1/2 peking duck, which was one of the best versions around at Crystal jade, but it arrived as hacked bone-on pieces of duck instead of slices, not sure how they intend people to wrap those inside the crepes. Ordered beef brisket with turnip, an R&G standard, but after an hour it still had not arrived, with no explanation. I would wait a month or two before going back, they are obviously not up to speed yet. It is said half the kitchen crew is from R&G. Now I am curious whether R&G will see a dip in quality.